Sarah qualified with a BSc in diagnostic radiography in 1997 from Portsmouth University. In 2000, she undertook the Medical Ultrasound 2 year qualification course at London City University allowing her to perform general abdominal, pelvic, obstetrics and gynaecology scans. Two years later she studied vascular ultrasound at Kings College, London and qualified at the end of 2003 enabling her to carry out venous and arterial duplex investigations. 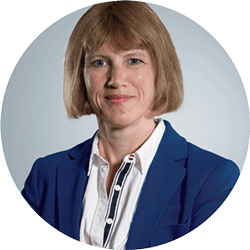 She has worked in southwest London both in the NHS and private sector for much of her career and moved to the The Whiteley Clinic in 2017 to specialise in the areas of ultrasound she enjoys the most – venous and pelvic scanning.